A dissatisfied customer sounding off on a ‘rant’ site about how unhappy they are can have serious ramification when it comes to your company’s online reputation. It is sometimes possible for these negative reviews to end up on the first page of your search results if you’re not careful. However, businesses are not powerless when it comes to fighting back against these websites and the poor reviews they may hold. Here are a few tips to assist you in handling these situations. You’ve probably seen websites like Ripoff Report and Complaints Board give upset clients a sounding board to voice their frustrations. These unverified reviews are almost always negative and can damage a company’s online reputation. This is especially true if these reviews show up on the first page of an organization’s search results where it will appear to anyone who uses a search engine to look for information on a company. Businesses are not powerless when it comes to dealing with these ‘rant’ sites and the negative content they contain. While you won’t be able to have this content completely removed from the internet, if you are smart with your online reputation management (ORM), you can push it further down the search results rankings where most people will never come across it. We compiled some useful advice to help you fight back against ‘rant’ sites that may be hurting your company’s online reputation. When many business owners read one of these negative reviews, their first instinct is to start sending out strongly-worded emails that demand to have the content removed. A few will also try to engage with the person who posted the content in an attempt to resolve the issue. We would recommend against both when it comes to a ‘rant’ site where both users and content posted are not verified. That’s because there have been reports of users posting fake reviews in an attempt to solicit money from businesses who they criticize. A few of these websites also claim to offer paid programs to mediate negative posts but business owners should be extremely wary of any website offering to remove or edit a review in exchange for cash. 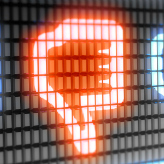 If one of these negative reviews makes its way onto the first page of search results for your business, you will want to start up social media accounts to help bury it. Not only do social media accounts hold greater weight in search result rankings, they also provide your past, present and future clients with better information. Even if you already have a Facebook and Twitter, don’t be afraid to expand beyond that with an Instagram or LinkedIn account. It’s also a good idea to get on Foursquare, Google+ and any other sites where reviews are verified by real users and not nameless people who don’t have to be accountable for what they say. Just remember to update these regularly to ensure they stay at or near the top of the search result rankings. While people are quick to post negative reviews, sometimes you need to cajole customers to post positive reviews on verified websites. Depending on what your business does, sites like TripAdvisor, Foursquare, Angie’s List or even Facebook can be great places to have satisfied customers leave reviews. Of course getting them to do that can be difficult. That’s why you should consider offering a discount to customers who post a review of your business on any of these sites. It truly is a win-win situation as you get to build a positive online reputation, have more reputable sites gain traction when it comes to search result rankings and build brand loyalty with customers who will be more likely to return because of the discount offered on their next visit. Don’t let a negative review on one of the ‘rant’ sites get you down. There are plenty of ways to get a positive message to people through online and social media channels. Let our team of experts show you how it’s possible.